The Panorthodox Council: A Fragile Hope for Aggiornamento? 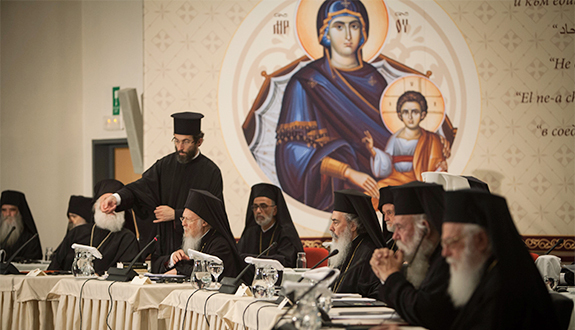 Despite serious difficulties, the recent Holy and Great Council became a truly conciliar event which reflected the complexities of the Orthodox commonwealth while demonstrating its relevance to the modern world. On the eve of the Eastern Pentecost, when the Council was scheduled, there was not much hope this Council would fulfill its mission—or happen at all. Eventually, the Council was convened and managed to send positive messages to the Orthodox world and beyond, both in word and deed. It became a truly conciliar event, which, on the one hand, reflected all the complexities of the Orthodox commonwealth while, on the other hand, demonstrated its viability and relevance to the modern world. The Council adopted six pre-drafted documents and drafted two new ones. The pre-drafted documents included “The Importance of Fasting and Its Observance Today”, “Relations of the Orthodox Church with the Rest of the Christian World”, “Autonomy and the Means by Which it is Proclaimed”, “The Orthodox Diaspora”, “The Sacrament of Marriage and its Impediments”, and “The Mission of the Orthodox Church in Today’s World”. These documents effectively confirmed the status quo, both practical and theoretical, which the Orthodox Churches hold today. In short, the Council would introduce no novelties. After all, this had become a condition for some Churches to attend the Council. Probably the only point that could be considered a novelty is that fasting before reception of the Eucharist became recommended rather than obligatory. Then two groups appointed by the Council drafted an encyclical letter and a message, with the only real difference being that the message is shorter and written in a more accessible language. This is probably the most important document of the Council. It contains a number of messages that try to reestablish connections between the Orthodox hierarchy and their flocks, as well as between the Orthodoxy and the modern world. For me, these messages have been amalgamated in the statement that “the Church does not live for herself” (preamble to the Message). 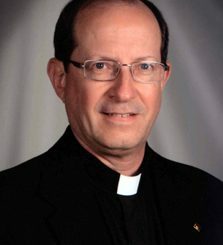 This principle expressed the interest of the Council in reaching beyond the usual agenda of bishops when they meet together: dypticha, canonical territories, and jurisdictions. Still, those issues were very much on the plate of the Council. In my previous article, I depicted a rather discouraging picture of the inter-Orthodox relations, which were at one of their lowest point on the eve of the Council. Here I would like to emphasize some high points, which no one envisaged during the decades of preparation for the Council and which made it a surprise. We the Orthodox usually promote ourselves as the followers of uncorrupted tradition. On these grounds, we like to criticize other Christian traditions and to abstain from criticizing ourselves. However, the fact that the Council had almost failed before it began made it less triumphalist. Moreover, there were hints of self-critique uttered by some authoritative Primates of the Churches—a very unusual thing in official Orthodox discourses. Thus, the Archbishop of Cyprus Chrysostom II, in his brilliant opening speech on the first day of the Council, acknowledged that the Orthodox Churches are dysfunctional in many regards. In his words, when the Primates argue about their positions in the diptycha (the order of the local Churches), they are similar to the sons of Zebedee. Our arguments about honors and privileges make other people laugh at us, he remarked. Another prominent speaker at the Council, Archbishop of Albania Anastasios, who was also a drafter of the Council’s message, urged his confreres to recognize that the Orthodox have made a lot of mistakes and need to apologize for them. We are powerless and poor, he concluded his brief but powerful speech. The Council stigmatized ethnophyletism as one of the weakest points in modern Orthodoxy. It was condemned as a heresy by the council held in Istanbul in 1872. That council dealt with the so-called Bulgarian issue: the process of emancipation of the Bulgarian community from the Ecumenical Patriarchate. As a result of the conciliar decision, the entire Bulgarian Church, which proclaimed its autocephaly from the Patriarchate of Constantinople, was put under anathema that lasted until 1945. Although the council of 1872 was attended only by some ex-patriarchs of Constantinople, the patriarchs of Alexandria and Antioch, the archbishop of Cyprus and twenty-five other metropolitans and bishops (while the patriarch of Jerusalem left the council before it took its decisions), the Council of 2016 confirmed its ecumenical authority. By this decision, the Panorthodox Council effectively endorsed anathemas against ethnophyletism. Ethnophyletism was addressed in the statements and speeches of many of the participants in the Council. Although the majority of the participants continued using the triumphalist language, they agreed that ethnophyletism is a big problem for the Orthodoxy today, and an impediment for conciliarity. Thus, the Archbishop of Cyprus suggested the Churches that did not attend the Council were driven by ethnophyletism. Even stronger was the condemnation of this phenomenon by a prominent Greek philosopher Christos Yannaras. He was not present in Crete in person, but recorded an interview, which was watched with close attention by the members of the Council. In this interview, he attacked the institute of autocephaly and autonomy as making the local Churches ethnophyletic and as contributing to their further atomization. He even suggested downgrade the institute of autocephaly altogether. The Ecumenical Patriarch Bartholomew addressed the same problem in his speeches and remarks. However, he preferred to call it not atomization, but federalization or confederalization of the global Orthodoxy. He urged the Churches to step out of their shells and sacrifice their local interests to the common good of the Orthodoxy. “We Orthodox Christians are not and must not behave as a confederation of Churches,” he stated in his opening speech, “We are one Church, one body and we must solve any differences between us only in Council.” Even though he did not directly state that the role of the Ecumenical Patriarch as first among equals should be upgraded, he obviously meant it. Another issue considered highly problematic for modern Orthodoxy by the majority is fundamentalism, which was marked as an obstacle for exercising conciliarity. Indeed, as it was stated during the Council, among the reasons why some Churches did not come to Crete was the pressure from the fundamentalist groups. As a result, fundamentalism was condemned by the Council as an “unhealthy religiosity”, for the first time in the history of the Orthodox Church. “The explosions of fundamentalism,” states the Council’s Encyclical, “within religious communities threaten to create the view that fundamentalism belongs to the essence of the phenomenon of religion. The truth, however, is that fundamentalism, as ‘zeal not based on knowledge’ (Rom 10.2), constitutes an expression of morbid religiosity” (§17). The entire spectrum of conservative voices inside and outside the Council—from moderate to radical—expressed concerns regarding the term “church” in application to other Christian denominations. The Church of Greece was the protagonist in the campaign against “church” referring to other Christian groups in the document “Relations of the Orthodox Church with the Rest of the Christian World”. Reportedly, the Primates of the Churches of Romania, Serbia, and Poland supported the Archbishop of Athens. On the other side of the argument was the Church of Cyprus, which received support from the Patriarch of Alexandria and Metropolitan John of Pergamon from the Ecumenical Patriarchate. This latter side argued that it has already become a tradition for the Orthodox to apply the word “church” to other denominations, including the Roman Catholic Church. Eventually the two sides reached a compromise. The word “church” was left in the document, but it was defined in the way, which does not necessarily mean the Church: “[T]he Orthodox Church accepts the historical name of other non-Orthodox Christian Churches and Confessions that are not in communion with her” (§6). In general, the Council of Crete was strictly hierarchical. Even the bishops, who were official members of the delegations, preferred to listen rather than to speak up. With a few exceptions of outspoken bishops, such as Irinej of Bačka (Serbian Church), Hierotheos of Nafpaktos (Church of Greece), and John of Pergamon (Ecumenical Patriarchate), the role of most of the bishops was reduced to only co-signing the documents. In most cases, decisions were taken by the Primates of the Churches. Under such circumstances, the role of laity was supposed to be next to nonexistent; this was how the Council had been planned. At the final stage of the preparation to the Council, however, the situation changed. In January this year, Patriarch Bartholomew invited theologians from around the world, including lay men and women, to Phanar for a preconciliar theological consultation. The Ecumenical Patriarchate also invited some theologians to the Council itself, where they served as a sort of periti. Some Churches included lay people and even women to their official delegations, such as the Churches of Constantinople, Jerusalem, and Albania. In conclusion, it would be an exaggeration to say the Council completely changed the atmosphere in the Orthodox Church by opening it up and providing instruments of aggiornamento. I doubt there was unanimous support among the Fathers of the Council for an Orthodox aggiornamento. The majority of them wanted to preserve the status quo. There was still triumphalism and loud fanfares echoing in many speeches. The Council, again, was still predominantly hierarchical, so that ordinary bishops mostly stayed in the shadow of their Primates. Ethnophyletism, a safe object for self-critique by most Churches, was not condemned unanimously. Thus, the Romanian Patriarch Daniel suggested that ethnophyletism should be criticized with caution, because otherwise, in his words, patriotism can be hurt. Even though the Council endorsed ecumenism some discussions, particularly regarding the term “church” in application to other confessions, demonstrated a general setback among the Orthodox regarding dialogue with other Christians—at least in comparison with the 1960s, when the idea of a Panorthodox Council was conceived. In spite of all this, the Council was a milestone for the Orthodox Church. It created a strong momentum of conciliarity within it. The bishops who met in Crete enjoyed it so much that they decided to meet again sooner rather than later. A preliminary idea now is to meet once every seven to ten years, approximately the pace of the Lambeth Conferences. Some Primates said that the next Council should be bolder and more affirmative in promoting an agenda, which would make Orthodoxy more relevant to the modern world. Even though the Council itself did not embark on an Orthodox aggiornamento, it certainly kept the doors open for it.